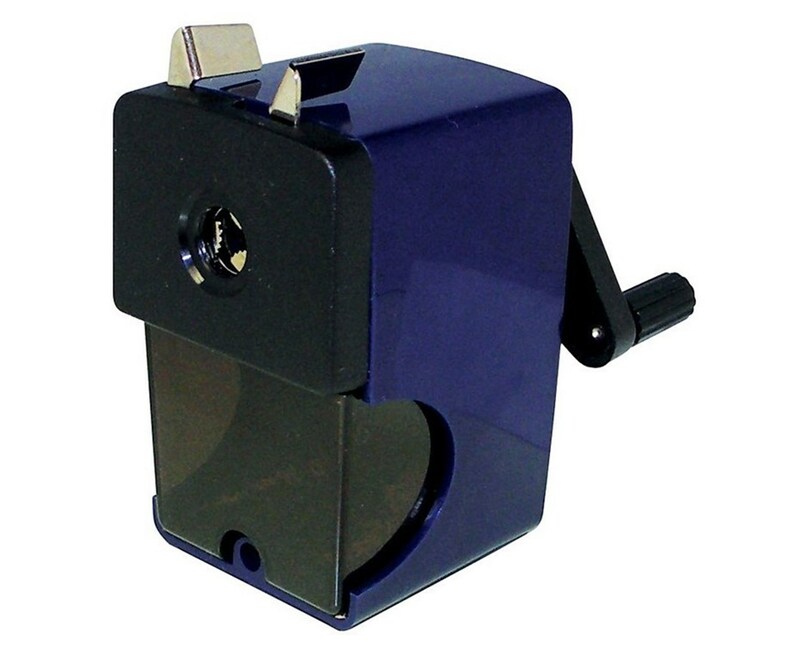 The Alvin Auto-Feed Pencil Sharpener features a spring-loaded mechanism that automatically feeds the pencil into the cutter for sharpening. The hardened steel cutting blades are equipped with an auto-stop feature to prevent wasteful over-sharpening. 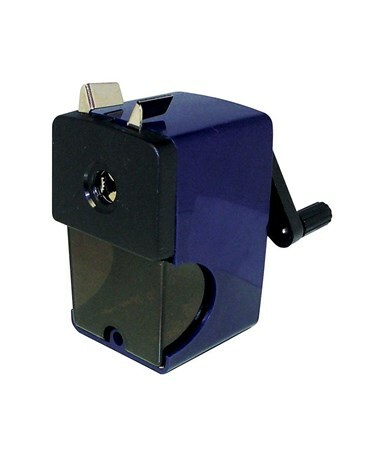 This manual pencil sharpener is designed not only for standard pencils but also for oversized ones. It utilizes a point adjustment system that controls the pencil’s point length to accommodate a wide range of drawing and drafting needs. The Alvin Auto-Feed Pencil Sharpener comes with a high capacity shavings cup for high volume pencil shavings. This shavings cup slides out to allow easy cleaning and maintenance. 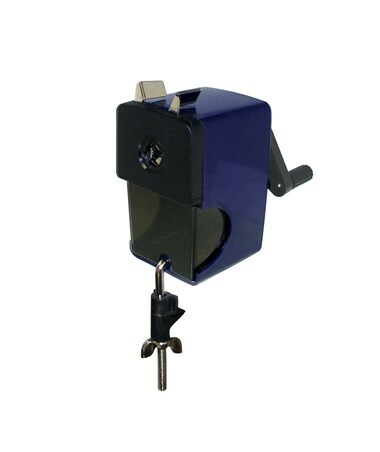 With a table mounting clamp included in this package, this sharpener ensures convenient and steady sharpening.